This publication is published in Bellingham, Washington, but accepts submissions from poets and writers located all over the nation. Every year as word get out, the book grows in proportion. This is my second time appearing in the Clover. Thank you Mary Gillilan and Norman Green for all your hard work. You are both a perfect team! 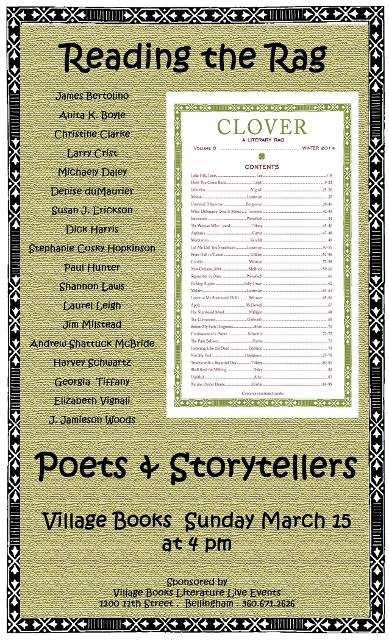 Clover is reading submissions for their next Clover edition, out in June. The deadline is April 30. Visit their web site for details.